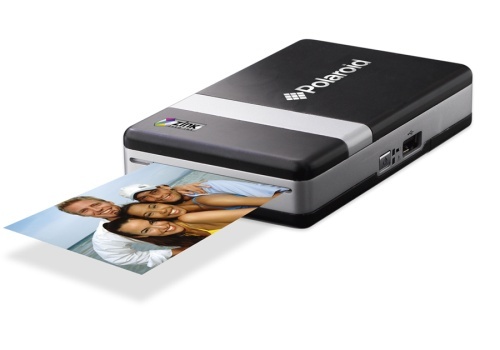 A few months ago Polaroid announced that they are producing a new product which is a portable printer, as seen above. Using zero-ink technology (Zink), the printer is a handheld cordless/computer free device that works with a digital camera or phone and prints 2 x 3 images. In a possible effort to ease the blow of the death of the instant camera it seems Polaroid is planning on taking the next step. Currently they are working on a camera and printer in one which would print 4 x 3 images. You know, I get it. Times are a changing. Digital is king. Blah, blah, blah. I think it's a valiant effort on their part too, and who knows, I might warm up to it or get suckered by the allure of a snazzy new toy. But it feels heartless, and to me the magic of Polaroid is not convenience. What I love and will miss is the unsophistication, the slight grain, the imperfections, the screeching sound as it comes out of the camera, and the fact that each image is solely unique and one of a kind. Digital is the opposite of everything the conventional Polaroid camera represents. So, close but no cigar. I say this in vain, but trying leaving well enough alone.